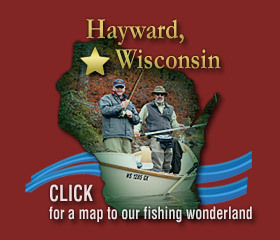 We at the Hayward Fly Fishing Company are very proud of the fly selection we are able to offer our customers. We have an excellent cold water selection of trout, steelhead and salmon flies, but our specialty is our warm water bass, pan fish, pike and musky flies. We believe that we have the largest warm water fly selection in the Midwest and maybe the whole country. 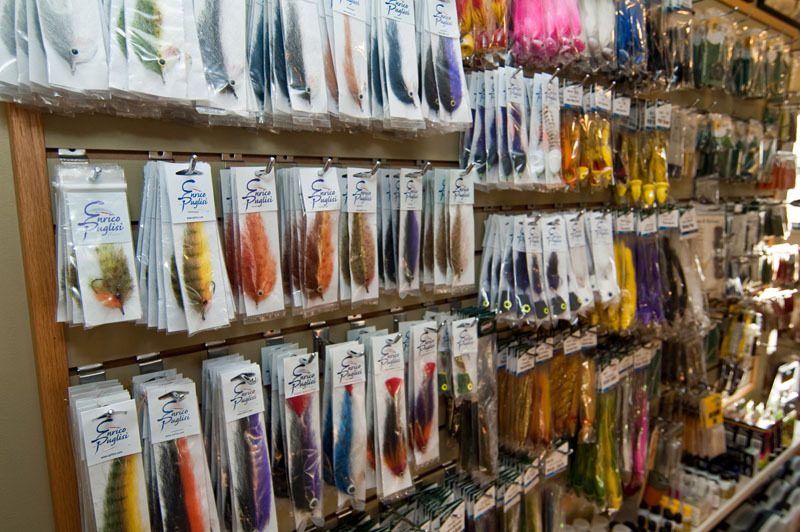 Give us a call or stop by our friendly fly shop in Hayward, Wisconsin to check out our selection of musky flies, bass flies, trout flies and more! Whether you pursue bluegill and crappie, smallmouth or largemouth bass, pike or musky, we’ve surely got the flies you’ll need. 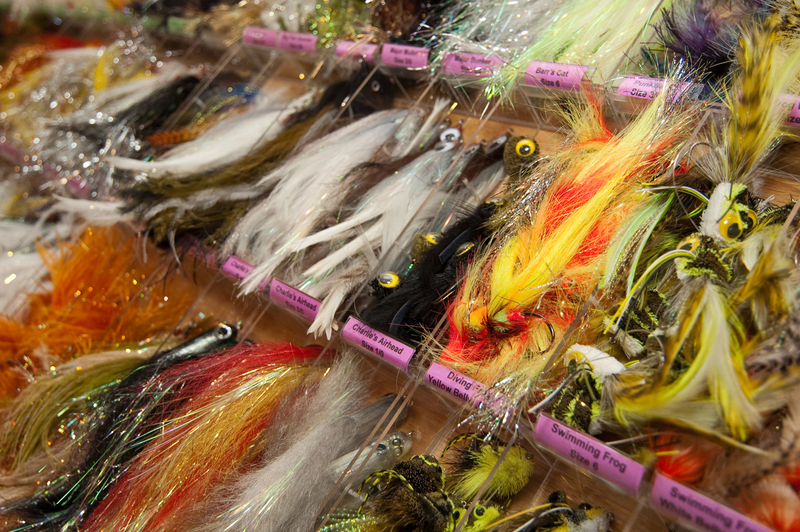 With over 35,000 flies in stock, we’ve got your fly needs covered. We’re always adding to our selection of Rainy’s, Umpqua & Enrico Puglisi flies, so drop by and see what’s new. 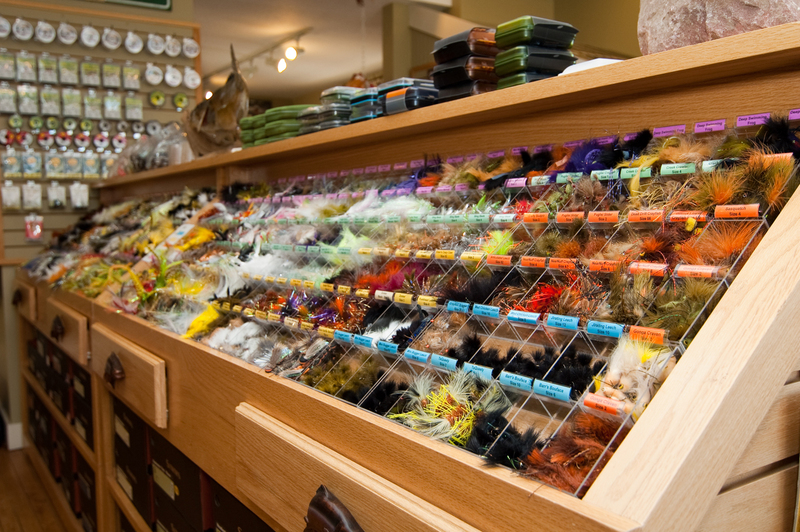 If you’re making a special trip in quest of that special fly, driving a long distance or in search of specific fly tying material, please give us a call ahead of time so we can be sure to have everything in stock and ready for you when you arrive! Larry talks about our LARGE selection of Rainy’s, Umpqua & Enrico Puglisi musky flies, pike, bass, steelhead, trout, crappie and bluegill flies. 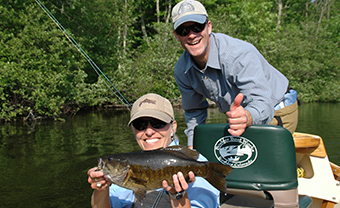 Our guided fly fishing float trips start up in early May, and all you need to bring is your hat!